Author and CPA, Carol Topp, shares business tips in this podcast recorded at the International Business of Writing Summit in Louisville Kentucky. 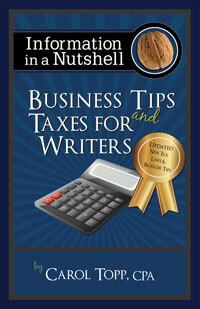 Carol’s book, Business Tips and Taxes for Writers ia a helpful reference. Available here.